It has been a while since my soldering iron has been warmed up and I have been feeling the urge to build something. The challenge of building something from scratch has usually proved too much, so I have decided to build a kit. I've read a lot of good things about the "Iler 40" and its 20m brother so I decided to get one. I thought that this kit was sold on Ebay but a search for "Iler 20" came up blank. 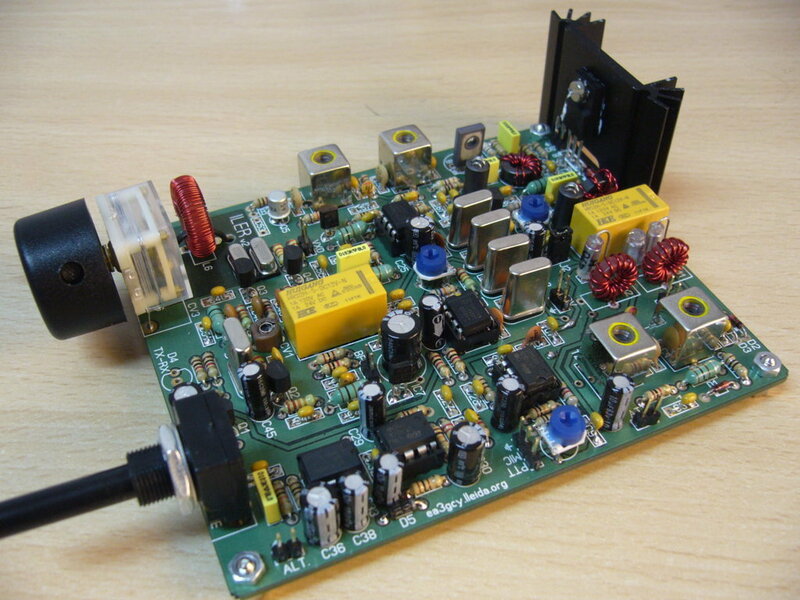 A more generic search produced some interesting hits including this 40m transceiver kit from a UK seller. This kit is quite a bit cheaper than the Iler kits but without any reviews it is a bit of an unknown quantity. I eventually found that the Iler kits can be bought from the maker's own site. The excellent reviews plus a higher output (4w vs 1w) were the decider. I was a bit unsure of which version to go for but I eventually plumped for the 40m version. More to follow once it gets here. I'm busy to build the Iler20. Today I finished soldering the resistors. The Oak Hills Research mono-band QRP kits are also top-notch. Quiet receiver, 5+ watts, audio filter, and rapid QSK. I have the 20 and 30 meter models. Good luck with the build. They look well designed and competent little rigs. Half tempted too. I'll see how you get on first.